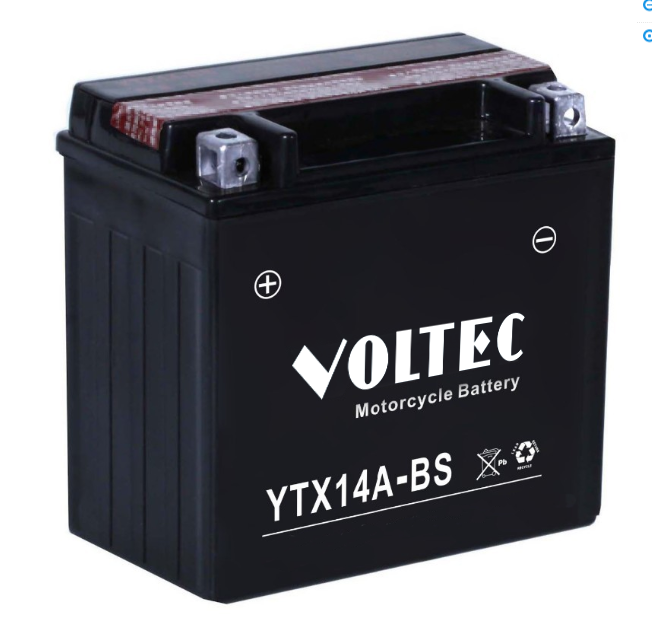 VOLTEC Maintenance Free Dry Charged range is Self Sealing, Maintenance Free Motorcycle Batteries, perfect for people with better things to do than battery maintenance by uses maintenance free technology. Provides high starting power with a long life and is spill resistant even if your motorcycle should end up in a position not recommended! These guys are delivered with a "dry charge" and need to be filled with the specific acid pack provided alone with them. Once activated these batteries do not require refilling and remain maintenance free for their whole life. • High Capacity, Long service life. • Advanced lead calcium technology, maximize starting power. • High-quality composite of Fiber Glass and PE separators Application. • Adopt advanced low antimony alloy and low maintenance design. • Seal design with reliable plugs. • Dry charged design, long storage time, can be used at any time you want.